Who says the holidays have to be filled with stress and hassle? In Gulf Shores, you can put your feet up and relax. Enjoy your family time with a Thanksgiving in Gulf Shores. From mouthwatering Gulf Shores Thanksgiving dinner options to things to do this holiday, we’ve got the details on a hassle-free holiday in Gulf Shores. When you plan a Thanksgiving getaway, you can enjoy a holiday without the hassle with conveniences like grocery delivery. Forget waiting in long lines at the grocery store to purchase your prized turkey. As a Spectrum Resorts guest at The Beach Club Resort & Spa, you can pre-order your groceries with a GEM specialist courtesy of the VIP Spectrum Experience. It’s easy to do and ordering is available online. After you’ve arrived to a fully-stocked Gulf Shores condo, put your feet up. Your Thanksgiving vacation is just beginning. Enjoy the best seat on the beach when you reserve beach chairs prior to your arrival by calling (251) 224-2500. The weather is typically great in November. The kids will enjoy building sandcastles and playing sand football or spikeball while you catch up on your favorite book. If you’re a DIYer and love a great, home-cooked meal, turn up the heat and make your famous sweet potato casserole in your fully-equipped condo kitchen. However, if cooking the Thanksgiving feast from scratch isn’t your cup of tea on a relaxing holiday getaway, you’re in luck. Find out more about our Gulf Shores and Fort Morgan rentals. Gulf Shores and Orange Beach grocery stores, including Rouses Market and Publix, offer heat-and-serve Thanksgiving meals with all the fixings. Be sure to place your order in advance, as quantities are sometimes limited. When you really want to relax and leave the prep and dishes to someone else, make reservations for the Thanksgiving buffet at Coast Restaurant & Sushi Bar here at the resort. Coast offers a special holiday buffet that’ll please even the pickiest of holiday eaters. Award-winning Chef John Hamme and his talented culinary team will prepare a feast fit for a king and his court! If your idea of the perfect Gulf Shores Thanksgiving dinner includes having someone else do the dishes, then Coast Restaurant is your sweet (and savory) spot. Delectable servings include prime rib, sweet tea-brined pork loin, oven-roasted turkey, house-smoked salmon, cornbread dressing, Southern-style green beans, sweet potato souffle’, salads, desserts and so much more. Reservations are required for this taste bud-tempting feast. After the dishes are cleared and the naps have been taken, there’s plenty to do during Thanksgiving in Gulf Shores. Make the short trip to Foley and do some Black Friday shopping at Tanger Outlets. With more than 120 name-brand retailers, you’re sure to find the perfect gifts for your family. 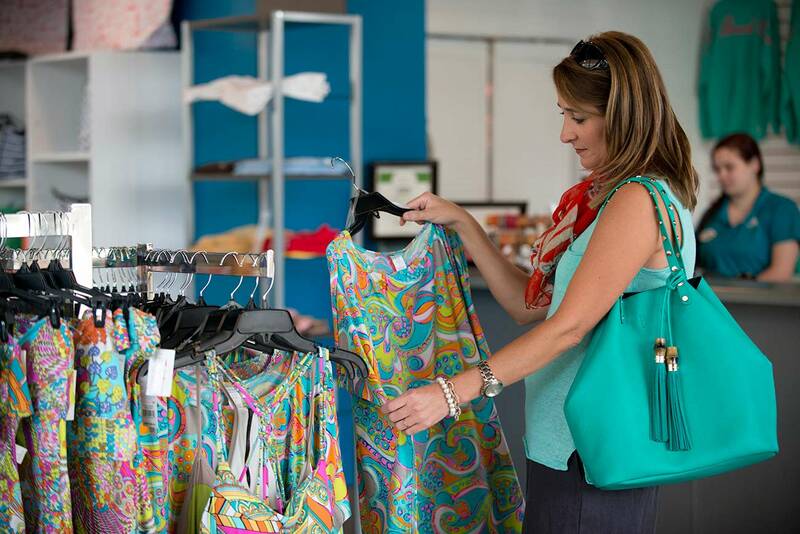 Don’t forget to stop by The Village Mercantile at The Beach Club for fun finds, including jewelry, shoes and casual wear. Ride off that holiday turkey with a bike ride around the resort. Bike rentals are complimentary for Spectrum Resorts guests. The weather during November is typically mild, making for comfortable days on the beach and for outdoor activities. Relax and soak in the sun while you enjoy your hassle-free Thanksgiving in Gulf Shores. 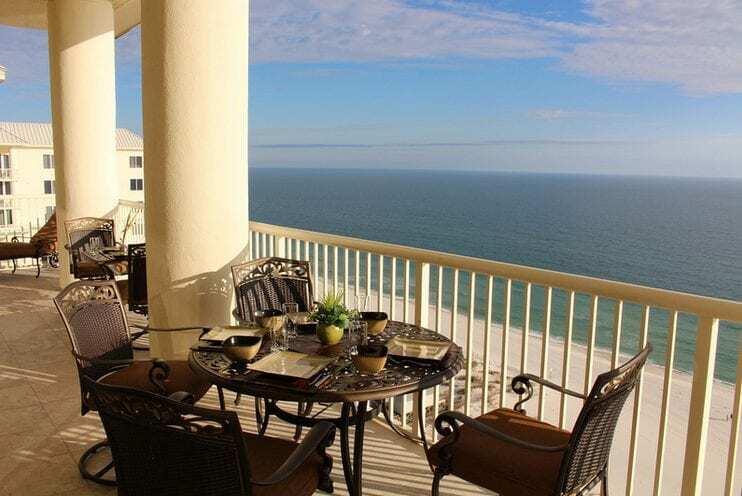 Reserve your Gulf Shores condo at The Beach Club Resort & Spa and enjoy a holiday to write home about with family and friends.